This week, AleaSoft commemorates the long lasting collaboration built with its first client, Endesa. 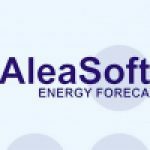 On October 8th 1999, AleaSoft was founded in Barcelona as the outcome of a research project, within the context of the liberalization of the European electricity market. Shortly after its foundation, in November 1999, Endesa became AleaSoft’s first electricity forecasting client, and is today a client of both electricity demand forecasting and energy price forecasting. Endesa is the largest utility company in Spain. Endesa has over 10 million customers in Spain, and spans through a variety of energy sectors including electricity, gas and nuclear. During the past 15 years of collaboration, AleaSoft’s forecasts have provided valuable data for different departments of Endesa, allowing them to take appropriate decisions accordingly.